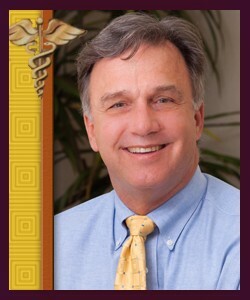 Dr. Mark Maxwell grew up in Orange County, graduating from Corona del Mar High School. He attended the University of California, Irvine graduating with honors in biology and graduated from dental school from University of California, San Francisco. Dr. Maxwell received a Master's degree in oral biology with his dissertation in TMJ (jaw joint) dysfunction from the University of Louisville and his certificate in orthodontics in 1994 from the Advanced Education Program in Orthodontics at Fort Knox, Kentucky. Dr. Maxwell proudly served our country in the armed forces for over 20 years as a general dentist and an orthodontist. During his military career, he lived throughout the United States and abroad and held numerous staff and teaching positions. In 2003, Dr. Maxwell retired from the army at the rank of LTC and returned to Orange County. He has served as a member of the Orange County Dental Society as a delegate, and with various board positions. He was recently elected to the office of President-Elect. He has also earned the nomination of his peers for the last four consecutive years as one of Orange County's "Top Dentist" as published in Orange Coast Magazine. Dr. Maxwell strives for orthodontic excellence and is passionate about his work. He enjoys spending time with his wife, Tracy and their children, Justin, Jake, Alec and Amy. His hobbies include backpacking, cycling, swimming, anything involving the ocean, and of course his children's sports of soccer, track and the Balboa Island Yacht Club.